Among the first things people notice when making the first impression, are your teeth. They are the mirror of both your health and personality. Sparkling teeth make lots of people look more attractive and smart, however yellow teeth, in contrast, may work against you and cost you much even your self-confidence. Unfortunately, lots of people are still embarrassed over the yellow appearance of their teeth no matter how many times they have brushed them. In fact, teeth stains can have multiple causes such as smoking or due to deeply pigmented food and drinks. Yellow tint can also naturally occur as we age. 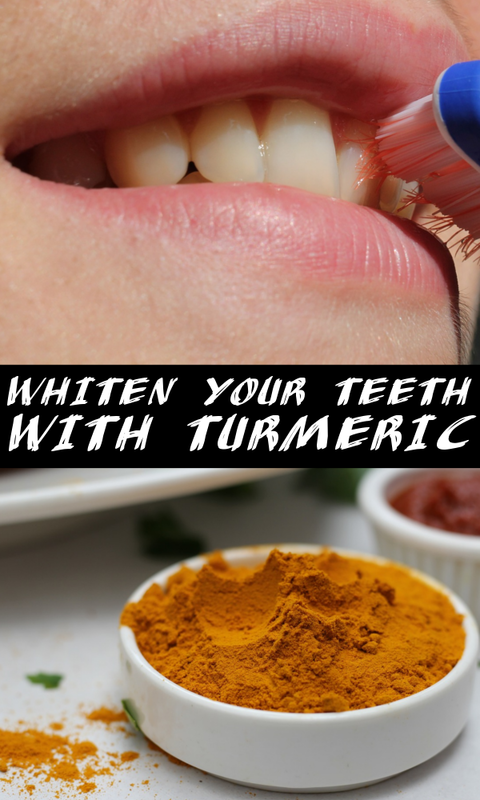 If your teeth are not as bright as you like and you are not happy with the way they look, here is the best DIY solution for you : Turmeric is honestly a magical natural cure to get a gorgeous smile that flashes across your face.